Mark would be pleased to preset an instruction workshop, or a series of workshops, to members of your organization, educational program or community group. Private instruction is also available. 2011 marked MD's twenty-fifth anniversary on the faculty of the Old Town School of Folk Music in Chicago IL. He has heled many a beginner get through their first chords and strums, and has hosted a catalogue of master classes and workshops on a range of subjects from old-time banjo picking to the legacy of the great Lead Belly, to just about every other topic related to the study of the American folk song. 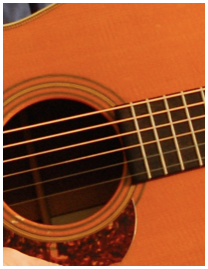 Click here to visit Mark's Acoustic Roots Workshop online, a page loaded with materials and resources. Bring Chicago's Old Town School of Folk Music to your school, library, community group, arts organization or into your home.